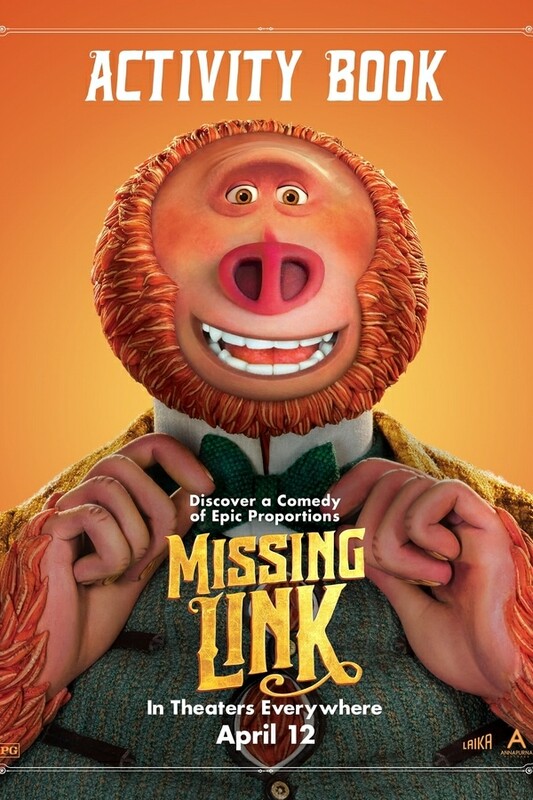 Home » Entertainment & Technology » FREE Missing Link Movie Printables & Giveaway! FREE Missing Link Movie Printables & Giveaway! Missing Link opens in theaters on Friday, April 12th! While you wait for the movie, we’ve for some FREE Missing Link movie printables for the kids! Plus, you can enter to win this Missing Link movie giveaway! Check out the fun prize pack we’ve got that includes a Fandango gift card! Missing Link is the newest big screen adventure from LAIKA Studios. If you’re a fan of stop-motion animation, this movie is one you won’t want to miss! I had the opportunity to attend a press event for Missing Link and interview Chris Butler and some of the cast. Check out our Missing Link movie cast interviews to learn more about their experience creating the film! While you wait to see Missing Link this weekend, your kids can join the Explorers Club with Sir Lionel Frost! Their first mission will be to complete an adventure of activities chosen by Mr. Link himself! Have your kids gather their pens, pencils, crayons, or markers. Then help them with scissors and glue! Print out this FREE printable Missing Link activity book for them and let them explore! For more fun activities, visit the Official Missing Link website! CLICK HERE TO DOWNLOAD THE FREE MISSING LINK ACTIVITY BOOK. Your family will be ready to enjoy the movie together in the theater and at home! Comment below and tell us why you want to see Missing Link! Then use the form below to enter for your chance to win. The giveaway is open to US residents, 18 and older. It ends on April 19th! Learn more about the movie by following the #MissingLink hashtag on social media! #MissingLink hits theaters everywhere April 12th. Get your tickets now! « Missing Link Movie Cast Interviews with Zach Galifianakis & Zoe Saldana! I would want to go see this with my grandchildren. It looks like it would be fun and funny! I’d like to see it with my daughter. I like that Hugh Jackman is in it. It looks funny and has a great cast. I would love to take my niece to see this movie as it allows me the chance to spend quality time with her. I want to see it with my kids, it looks funny! I’d like to win because I think it would be a great movie for the whole family to go to! I already saw it and it is a great movie. I want to take my son to see this. I can’t wait to see which voices I recognize. I want to go see the Missing Link movie because I think my daughter and I will really enjoy it. I would love to see it because my Grandkids would absolutely love the movie and it would be a good outing. I want to see Missing Link for the actors and animation. I would like to win and give this prize pack to my granddaughters. I would like to see this with my grandchildren. I know they would enjoy it. It just looks adorable! And there haven’t been many good kid movies lately, it seems. I would like to see this because my grands would like it. I think it would be fun to see with my nieces. I would love to see this movie because it has some big name actors in it as voices and it is about finding family! 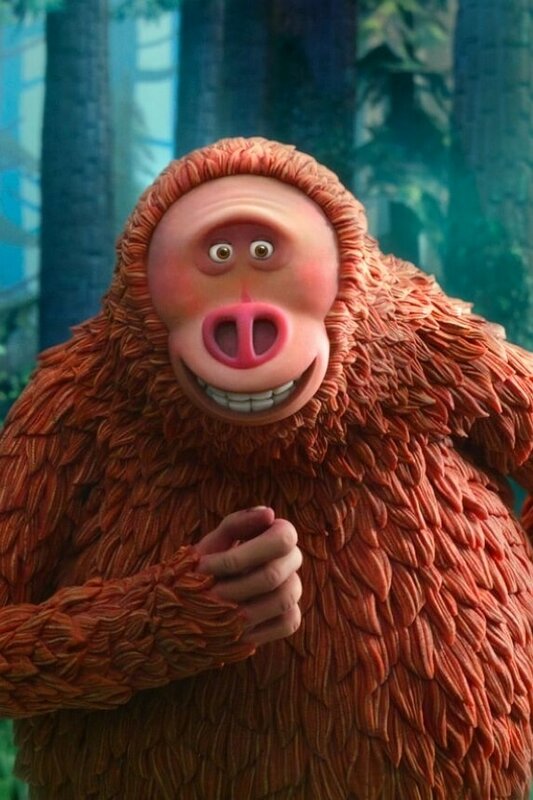 I want to see Missing Link because it looks like a great movie. I am a big fan of LAIKA Studios work. My kids want to see this!! It looks cute. I cant wait to see what kind of adventures they go on. My twins really want to see this movie! We love watching new movies, this one happens to have Hugh Jackman one of my favorite actors. This looks like a funny movie, I’d like to see it. My fiancé and I are big kids at heart and love watching animated movies! This one has a great cast! The preview looks funny. My kids want to see it. I would like to see this movie because they characters look cute and I think my daughter would enjoy it. It looks like a really cute, fun kids movie. With my newphew. He is totally excited. It looks like a great funny flik! I want to see this movie with my niece because it looks hilarious! I want to see this with my son because I think we would both enjoy it. The trailer is so funny! I would love to see this with my daughter. I would love to see this movie with my twin grandkids. It really looks cute. Zach galifinakas is the BEST!!! I think it looks cute and like it would be really funny. Thank you! I’d want to see it with my daughter. This looks like a super cute movie and I cannot wait to see it! My son wants to, so I do! The previews show such a funny movie. I want to watch it with my granddaughter. This looks like a very cute movie. I saw the preview and thought it looks very funny and also sweet. I try to see as many of the animated films that come out because I enjoy the art work that goes into the production. Really looking forward to this on. I think this would be a fun movie to enjoy with my grandson. My kids and I love going to the movies and the cast looks amazing! I would love to take my niece to see this movie , we both love adventures! I love to see sasquatch as a cartoon character. I love family friendly movies and this looks cute! I want to see The Missing Link because it looks like a good movie! This looks like a cute movie. My niece would enjoy it. Love stop motion animation and the plot sounds amusing. I love the Pacific North West! This movie looks so fun. 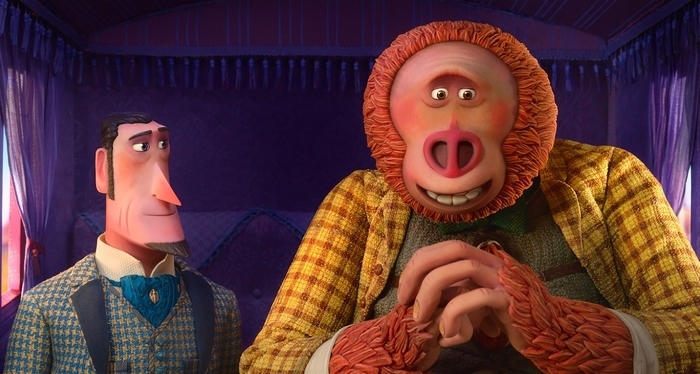 I want to see Missing Link because it looks like a fun family movie. I want to see the movie because it looks funny & I think my family would enjoy watching it together. I want to see the movie with my 2 grandsons because it looks like a fun family movie to watch with them. I think my niece would absolutely adore this movie, so that’s why I’m excited to see this with her. Simple, we just love movies. I saw this movie and it was super funny! I want to see it because it looks like a fun family friendly movie that we can all enjoy! I’d love to take my son. The movie looks fantastic! I want to see this because I love the storyline of helping her find part of what may be her family and the comedy thrown in as well as how cute the characters are. The trailer makes me laugh every time. Looks cute! My nieces and nephews want me to take them to see Missing Link. Sounds like a good movie! It looks like a great family movie! I am looking forward to seeing this with my niece and nephew. This looks like it will be a funny and enjoyable film. I want this to be the first movie I take my four year old to see in theaters. I just know that he would like it. I want to see this movie because it looks so cute and funny. I also like the actors. I want to see it because it looks like a fun movie for my nephew to see. It looks funny and my daughter would love it! I love Laika and would love to watch this! This looks like such a great movie to enjoy with my kids! Love seeing movies with the kids! They are so excited to see this one! it looks funny and my kids would love it! I want to see this movie because my kids want to see it. I will watch any kids movie with them. I saw the trailer, and I think both me and my granddaughter would love it. I think it looks like a cute movie and would love to see it. It looks cute I think my nephews would enjoy seeing it with me. This movie looks funny and I love a good laugh with a animated film. Looks like a really enjoyable movie, with GREAT actors! My kids have been wanting to see it. The local movie theatre has had a giant cardboard model of the missing link character in the window for a couple months. I want to see it because looks really funny and cute. I watched a trailer and it is definitely looking like a cute movie to see with my grandchildren. My kids love the previews & want to see it. I enjoy the work of LAIKA and Hugh Jackman! Missing Link looks like a cute movie to take my nephew to. Looks like a great family movie! Plus Hugh Jackman is pretty funny! I would like to see the movie, it looks fun! This movie looks really good and one that my kids would love! I’d like to see this because it looks fun! I want to see this as it looks like such a fun family movie. It would be a great day out with my niece and nephew. As an anglophile, whats not to like…Walliams, Fry, Thompson. With my fellow tar-heel Galifianakis, I’m so in. The kids would love to see the Missing Link. I want to see this with my grandchildren to create great memories with them. It looks like a fun family movie! We would love to see it with our granddaughter. My daughter wants to see this movie – it looks like it’d be a great family movie! It looks like a fun movie to watch with the family. i need a pick me up! it looks cute! i think my nephew would like it! We have been watching the trailer, and he looks like a gentle giant. It looks so cute. I want to see Missing Link because it looks funny and like a great family movie. It looks so cute!!! My grandson really wants to see this movie. I think my nieces and nephew would really like this. It looks funny! My kids and I cant wait to see this cute movie together. I would love to see this because it is a movie I can watch with my daughter. A movie we both would love. I would like to see it because it looks like a good family movie! My littles would enjoy it! I want to see Missing Link because it looks very interesting! This looks like a great movie. I would like to see it with my nephew. I want to see this because it looks funny and cute, and it’s also something my nieces want to see so i’ll be taking them! I’d love to watch this with my boys!